Preparing for the 2019 Motul FIM Superbike World Championship season that will kick off in Australia next month, Team Pedercini Racing unveiled the 2019 colour of their bikes in front of their fans and the big crowd visiting the Motor Bike Expo, which took place in Verona (Italy) last weekend. Team owner Lucio Pedercini, team manager Giordano Mozzi presented the 2019 program of their team, which will see the Italian squad double the effort, as they will be both participating in the FIM Superbike World Championship and in the FIM Supersport World Championship. To introduce the brand-new liveries for the Kawasaki ZX-10RR and the Kawasaki ZX-6R of Team Pedercini Racing, who are now painted in a dominant colour blue recalling the graphic of their new title sponsor Global Service Solutions and not in the classical green of the Japanese manufacturer, were their WorldSBK rider Jordi Torres and WorldSSP rider Ayrton Badovini, who both expressed their excitement for the new season about to start. “I cannot wait to get on the bike, feel it, live it, understand its critical points and work with the team to push it to the limits” said an enthusiastic Jordi Torres. “I am quite positive; the base level is great! Team Pedercini Racing by Global Service Solutions made an incredible change this year and I invite you all to follow us throughout this exciting season”. Heading into his first WorldSSP season with the Italian based squad in WorldSSP, Ayrton Badovini is also eager to take to the track with his new team, as they will be out testing soon in Jerez from 23rd-24th January: “The new livery is great, the partnership with Global Service Solutions is simply amazing. I am really excited and cannot wait to start. Two test days are ahead: we will try to use them to learn as much as possible before heading to Australia where things will become serious”. “It is great to be here and a huge honor to for me to have taken on this role in the team of Lucio Pedercini, who is a longtime friend and that I deeply appreciate for his humanity” commented Giordano Mozzi, who has joined Team Pedercini Racing as team manager for 2019. “We put up an important and ambitious plan to make the team grow through strategic collaborations not only for this season but also on the medium-long period, as that with title sponsor Global Service Solutions. The season is coming fast! I believe we will have fun this year”. 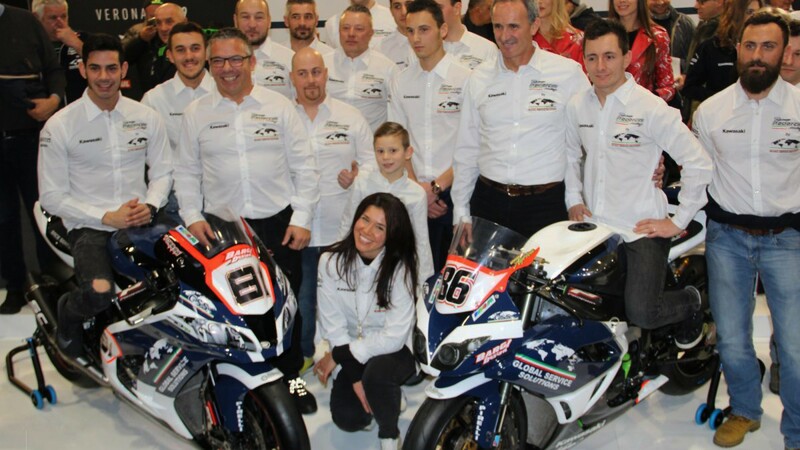 Team owner Lucio Pedercini added: “This is the start of a global change for our team. The arrival of Giordano Mozzi as Team Manager and the fundamental partnership with a big company like Global Service Solutions allow us to be positive about the upcoming season. This is going to be my twenty-eighth year in the World Championship, and I am still feeling like an excited kid. This is undoubtedly a very important moment for our team”. Follow Team Pedercini Racing and their riders taking to the track at Jerez Test for the first time with their 2019 livery, all with the WorldSBK VideoPass. 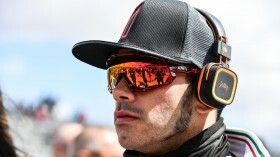 Torres to target top ten performance at Assen! The Spanish rider will look to continue achieving top results for the Team Pedercini Racing at the Cathedral of Speed!